Golygfa Deg (meaning “Fair view” in Welsh) is a three-bedroom holiday cottage which enjoys spectacular views across the Teifi estuary to North Pembrokeshire and out across the Irish Sea. Situated in the village of Gwbert-on-Sea, just a few yards from the Wales Coast Path, the cottage is just a short walk from two of the best local restaurants, as well as Cardigan Golf Club and Teifi Sailing Club. 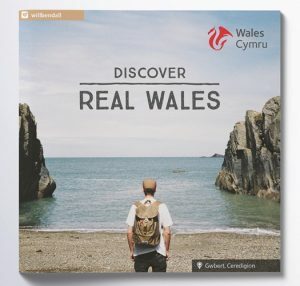 Our local beach has even been chosen for the cover of a new Visit Wales brochure! For bookings and information please check out our Booking Calendar, call Antony on 07799 892333, email info@golygfadeg.co.uk or complete the form below.